Kitchen fitters and electricians rejoice. 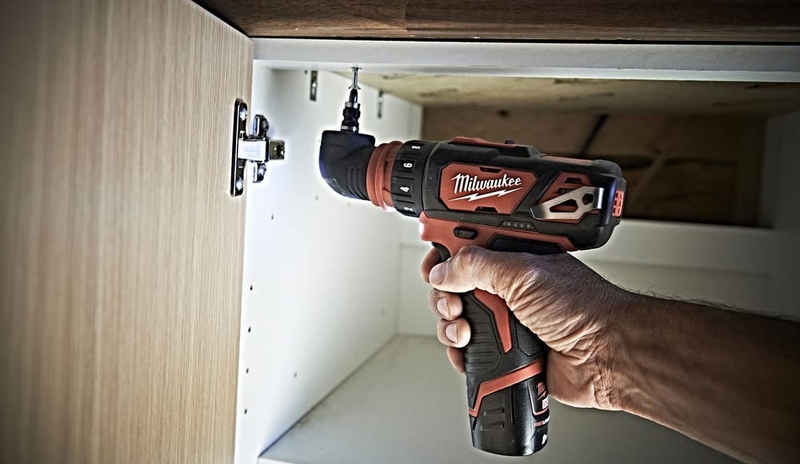 The Milwaukee M12BDDXKIT is the compact drill driver you’ve been looking for. As well as guaranteeing top performance this multi headed power tool is incredibly compact and flexible, making it ideal for work in tight spaces, such as cupboard fittings. Of the many power tools at our showrooms and trade shows, this popular drill driver is one of our most requested for live demonstrations. It is easy to see why this cordless drill driver is so in demand. The versatility provided by its 3 attachments ensures you are covered in a variety of applications. Additionally, the ergonomic design of the M12BDDXKIT immediately stands out. It is lightweight and boasts a comfy grip while not compromising on power. See below for some of the problem solving it can do for you. As shown in the picture above, the LED light is a great asset when working in darker areas. It also emphasizes how useful the size of the M12BDDXKIT is when there is minimal room to work in. 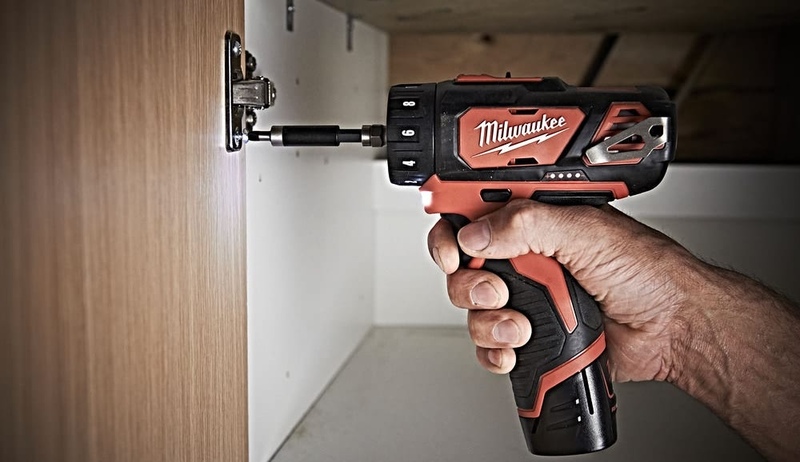 The 10mm keyless chuck gives you the capacity to drill holes up to 10mm in steel and 25mm in wood. Furthermore, the 2-speed gear selector offers you a range of 0-400rpm (gear 1) and 0-1500rpm (gear 2) depending on your needs. 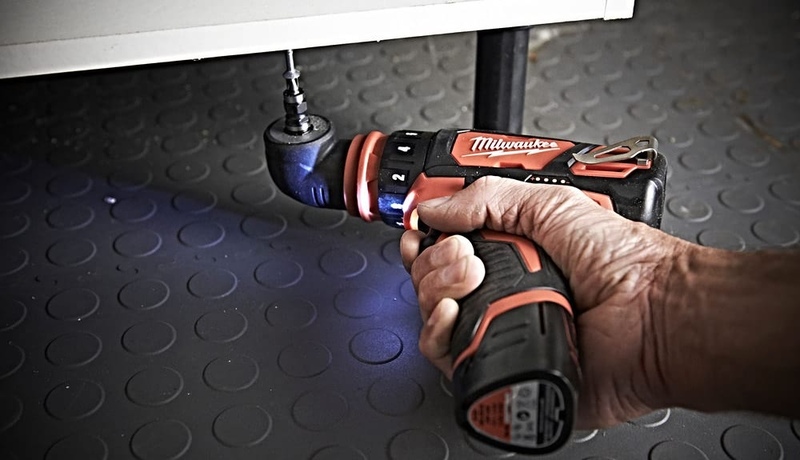 On top of that the M12BDDXKIT is powered by REDLITHIUM, Milwaukee’s impressive battery system. This means 2x more runtime, 20% more power and twice the battery life for the tool. In conclusion, the M12BDDXKIT is an excellent kit for professionals requiring a drill driver. It is fairly unique in its compactness and convenience, while still maintaining its power and performance. Combine that with its versatility and you are getting fantastic value for money with this power tool. Come and give it a try for yourself with a live demonstration at one of our showrooms. Alternatively, buy it now and order before 17.30 for next working day delivery.